Pioneering Decisive Solutions, Inc., with registered trademark of PIDESO, is a woman-owned, veteran-owned, small business founded in 2006. Our headquarters, along with our support equipment design and integration facilities, are located in California, Maryland close to the Naval Aviation Systems Command at Naval Air Station Patuxent River, Maryland. Satellite offices and software development facilities are located in Reston, Virginia, USA. We are “Pioneering Decisive Solutions” for the development and implementation of engineering, logistics and maintenance initiatives to improve defense readiness and enhance weapon system effectiveness. Since 2006, PIDESO has built and maintained its professional reputation as an innovative technical leader for development, fielding and lifecycle logistics support of military and commercial sector Automated Test Systems, ATE, Test Program Sets, and AT Systems capability. We provide Repair Facility and Process Infrastructure analysis, planning and turnkey implementation for initial implementation or refinement of existing infrastructures. Our objectives are increasing capabilities for production and maintenance at the point of impact while reducing life cycle sustainment costs of prime weapon systems and commercial end items. PIDESO provides systems engineering and logistics support for aviation and ground systems electronic, electro-optical, mechanical, hydraulic, and power systems. We perform system research, development, prototyping, systems integration, for test and support of instrument system software products, Test Program Sets, and Test Kits. We also provide engineering technical services for Systems Engineering, Logistics Support Analysis, Life Cycle Management framework refinement, and Program Management support to government and commercial acquisition managers and support providers. We specialize in concept development and refinement, product and systems design, initial development, production, fielding and fielded support, including modification and upgrades across the system life cycle. We research performance issues and perform integration and testing as well as conduct analysis to determine root cause failure modes to develop solutions for repair or redesign. And, we support test and measurement, fabricate new cabling, perform diagnostics and repair of test system interface devices, systems and subsystem circuit cards for legacy and emerging systems, and the associated support systems – to minimize logistics burdens and long-term costs. PIDESO also provides direct maintenance support with teams that work side by side with military, depot and commercial artisans while implementing new solutions for systems support. 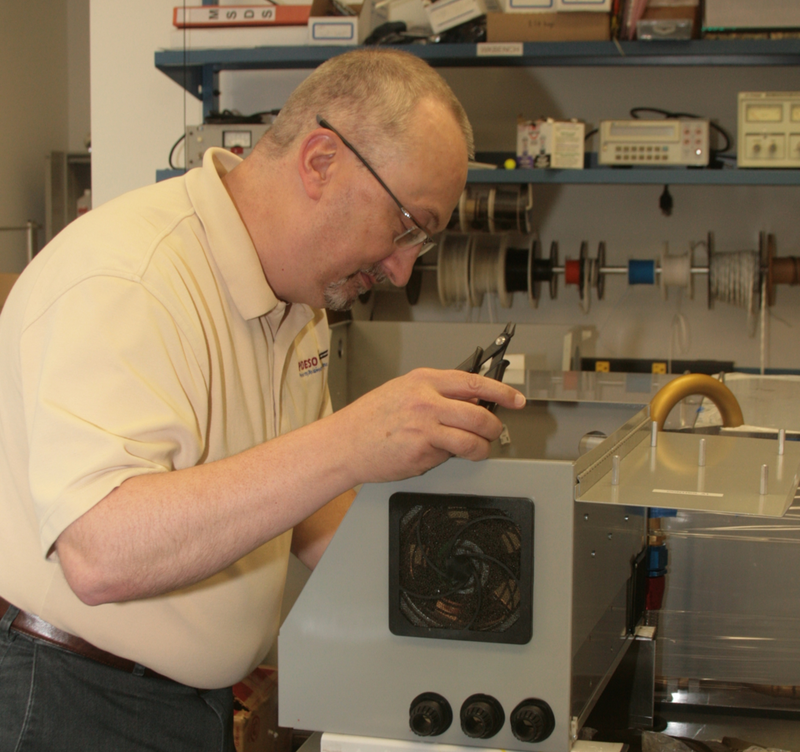 Our Engineering technicians maintain equipment systems in the field, hands-on, resulting in superior interface with end-users and defense contractors for product developments that meet the evolving challenges of test and repair facilities at all levels of maintenance. PIDESO also designs and produces commercial and military technical testing applications such as Simultest, the Advanced Circuit Card Automated Testers (ACCAT), the High Voltage Tester, the Uniform IR Source Testers and many more. Teaming partners, government agencies, and commercial customers turn to PIDESO for superior engineering and innovative technical support experience in each phase of the system design and sustainment life cycle across multiple platforms, weapons systems, and support equipment. © 2016 Pioneering Decisive Solutions, Inc.